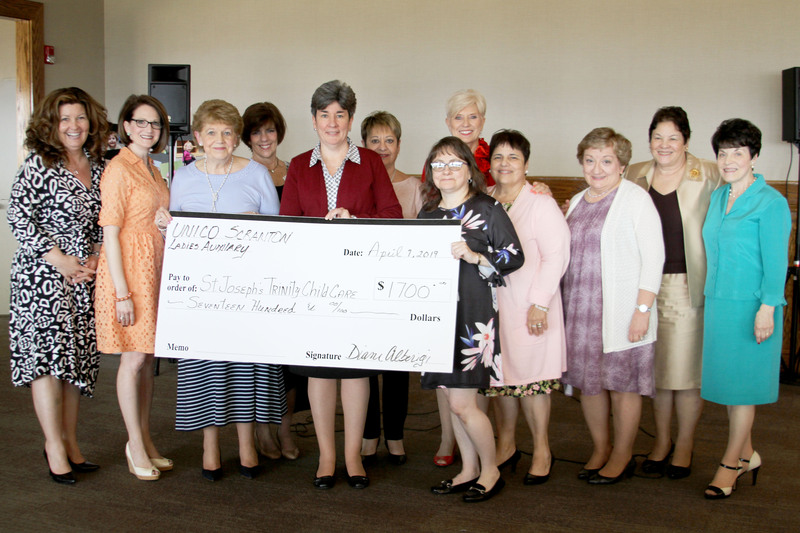 UNICO Scranton Ladies Auxiliary recently held its Annual Luncheon at the Elmhurst Country Club and donated $1,700 in proceeds from their purse raffle to Saint Joseph’s Center, Trinity Child Care Center. “The Ladies Auxiliary holds fundraisers throughout the year to benefit several local charities. This year the purse raffle proceeds at the Annual Luncheon were donated to Trinity Child Care Center. It was wonderful to hear first-hand from three of the parents, whose children attend Trinity, how this medical daycare helps area families. The Ladies Auxiliary is so happy to help.” Patti Montalbano, President, UNICO Scranton Ladies Auxiliary. Photo from left: Carole Dougherty; Lori Nozzi; Patti Montalbano, President, Ladies Auxiliary; Diane Alberigi; Sister Maryalice Jacquinot, IHM, President of Saint Joseph’s Center; Joanne Quattrone; Michele Johnston, RN, Director of Trinity Child Care Center; Gayle DeAntona; Danelle Hogan; Ginny Rescigno; Dr. Clarice Zaydon; Julie Yando. The 60th Annual Scranton Chapter Charity Ball was held on February 23 at Genetti Manor in Dickson City. 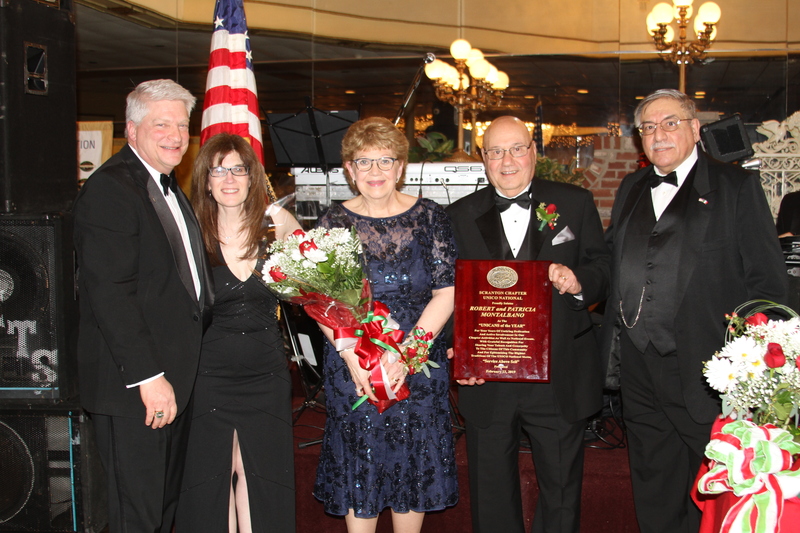 This year the Chapter honored Patricia and Bob Montalbano as UNICANs of the Year. The committee includes Palma Yanni, Honorary Chairperson; Mary Marrara, Chairperson; Karen Clifford; Gail Cicerini; Jo Ann Verduce; Charlie and Mary Rose Spano; Joyce Lomma; Bill and Marie Waerhouse; Pat Yanni; Melanie Naro, Scranton Chapter President; Cindy Farino; Lisa and Dave Bieri; Ann Genett; Diane Alberigi; Ed Staback; Linda Stefursky; Tony Nicosia; Jim Brogna; Rose and Frank Blasi, Sr.; Frank Blasi, Esq. ; Chris DiMattio; Joanne Quattrone; Bill Buckley; Dr. Jeff and Patti Rieder; Jim Baress; John Disanferdinand; Lynda Cook. You can STILL register online for the race!